Quick, raise your hand if you knew pot was illegal in Jamaica. And be honest. Jamaicans have been growing and smoking weed for so long it's hard to imagine anything more synonymous with the Caribbean island (maybe Bob Marley? The beaches? Bobsled!) than ganja. Yet amazingly, until yesterday it was totally against the law. No more. Last night, the Jamaican parliament finally took Peter Tosh's advice and voted to legalize it. 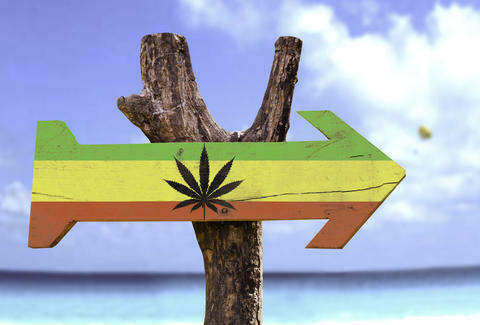 The Associated Press reports that Jamaica’s governor-general will officially sign the act -- which decriminalizes small amounts of marijuana -- into law in the next few days. Additionally, a “cannabis licensing authority” will be established to regulate medical marijuana. So, what do you need to know before your big trip to Sandals Montego Bay? Simple, while it'll be totally legit to light up, getting caught with more than two ounces of Mary Jane (do people still say that?) remains a petty offense; you can only have five or less plants growing in your hotel room; and finally, no dealing abroad is allowed, in case you had any ideas.